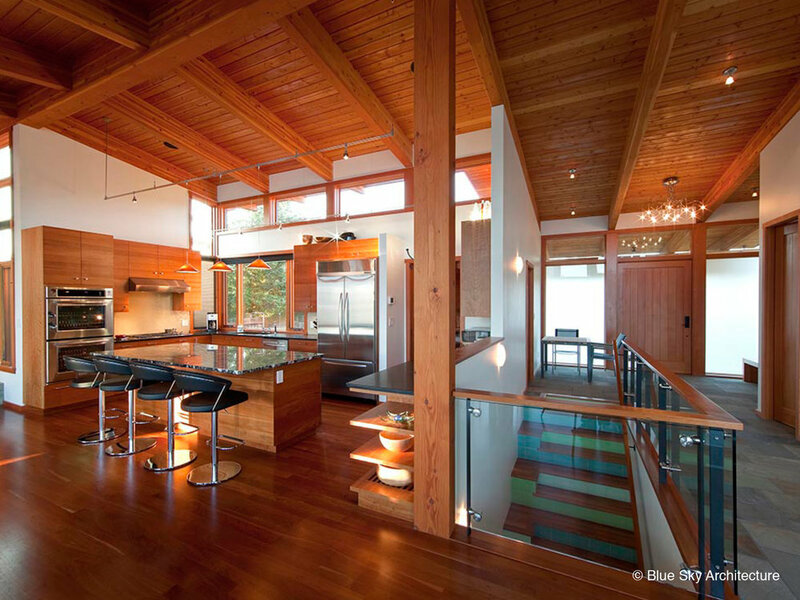 Local woods are the frame, structure, skin and the life force of this West Coast Modern home. 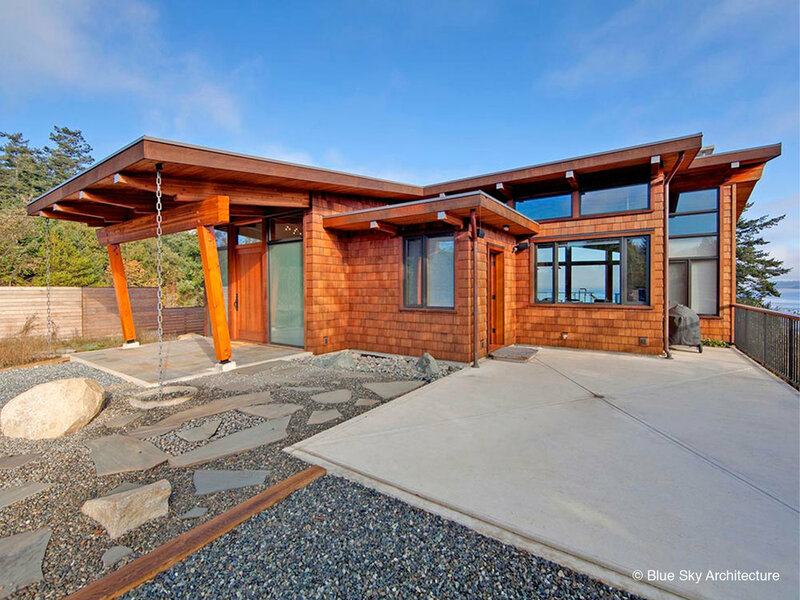 The strength, durability and adaptability, as well as the beauty and spirit of wood permeate all aspects of the design and construction of this home. 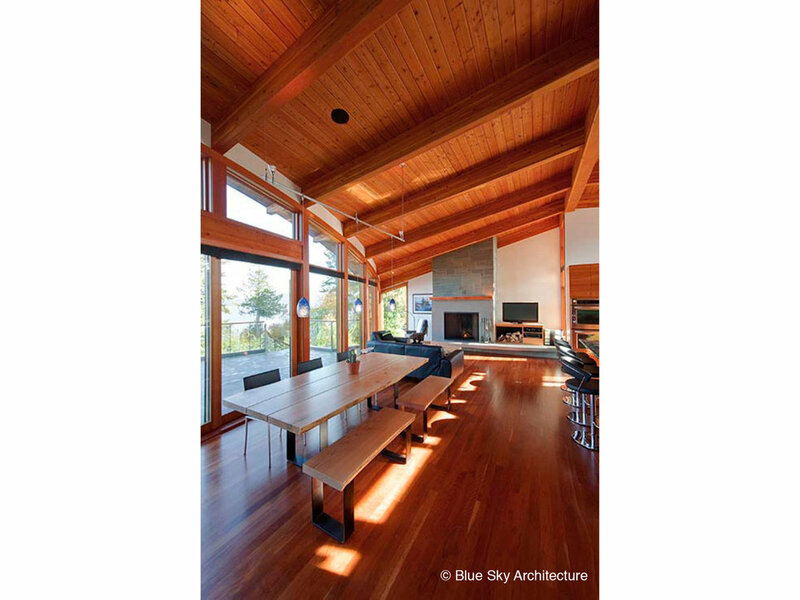 The use of Douglas Fir and Red Cedar ground the building to is place. 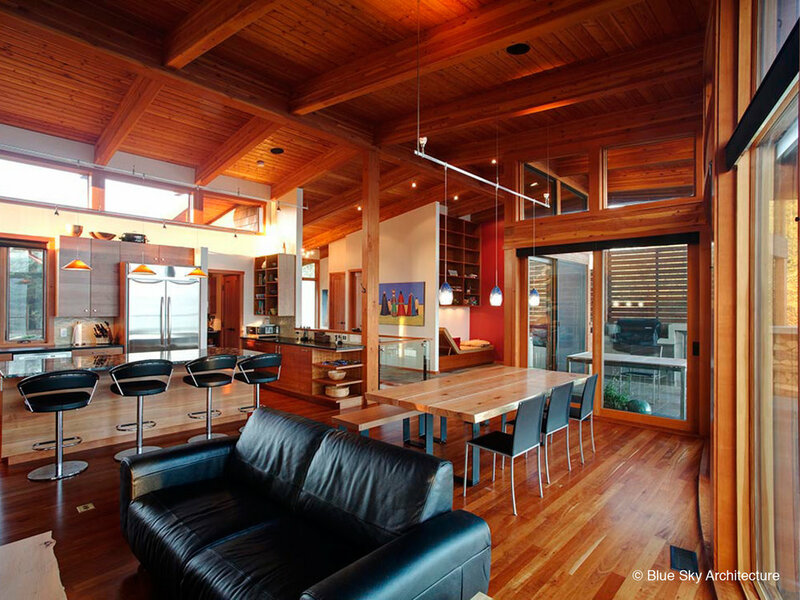 Both wood species have great structural properties as well as durability in our climate. Their tones blend with our cool northern light and add a sense warmth and calm to the building. The home appears a modest cabin on the road side and steps down to the cove it embraces. The building plan curves with the line of the shore while in section the roof dips towards the cove while rising up to the light on the south facing roadside. The versatility of wood is expressed in a simple ridge and rafter inverted roof, creating a dynamic and open space for the wood frame design. The design of the home builds on the tradition of West Coast Modernism, creating a living environment inspired by and appreciative of the dramatic landscape it is part of.